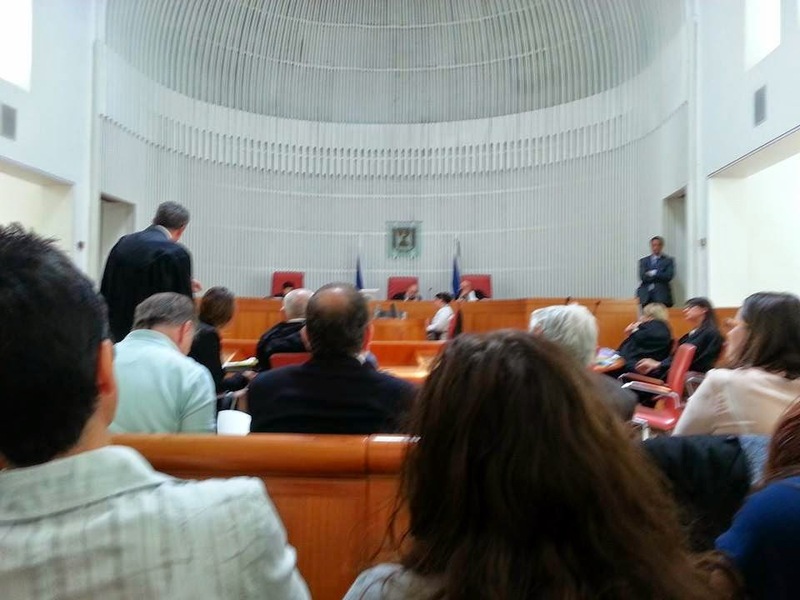 "No Radiation For You" blog: WIFI in school, Israeli Supreme court case - UPDATE - Conditional Injunction was issued!!! 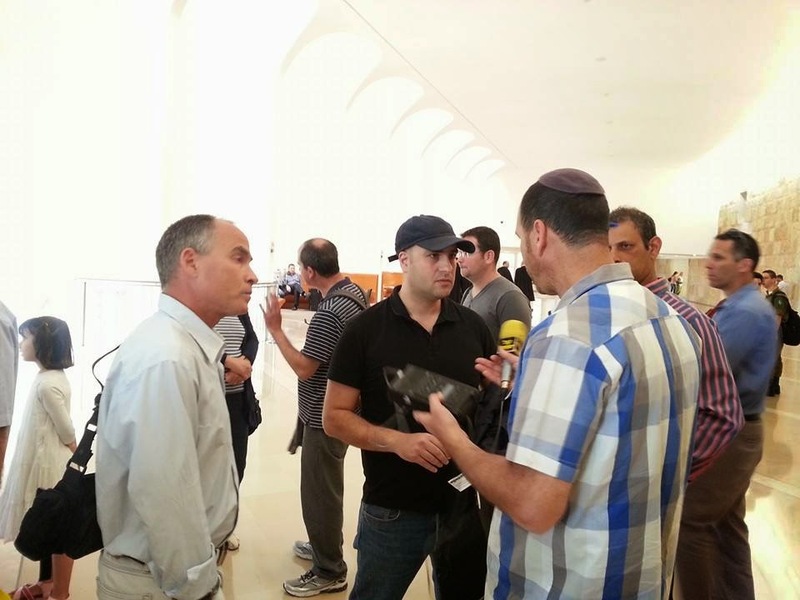 WIFI in school, Israeli Supreme court case - UPDATE - Conditional Injunction was issued!!! I am still learning and working on understanding what happened yesterday in court( I was present) and what are the consequences of it, so please note that the following report is temporary report. Yesterday, the 23/04/2014, the Israeli Supreme court, after a short and to the point hearing, issued a conditional injunction to the Ministry of Education to explain to the court why wired computer networks could not be installed in all of Israeli schools. The ministry must file it's reply by 15/07/2014. 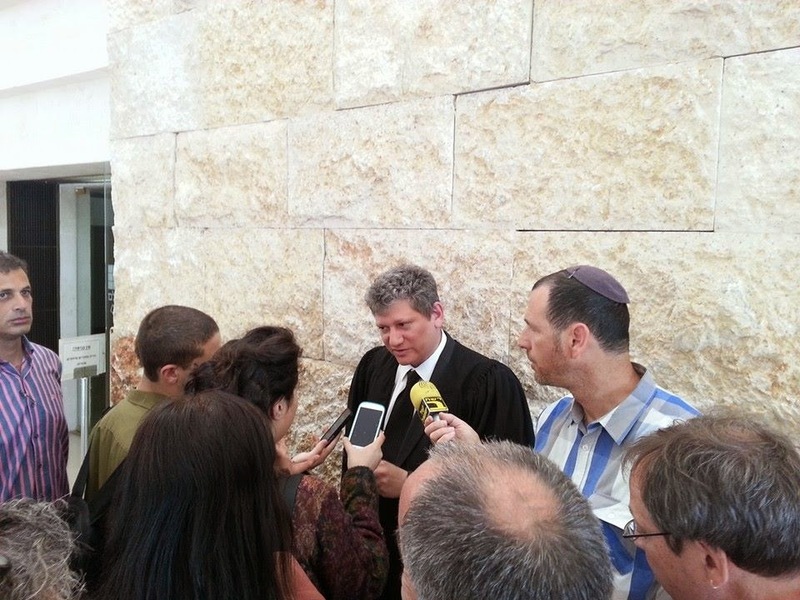 If the ministry will fail to do so or if the court will not find his reply sufficient, the court injunction will become valid and the ministry of education will be forced to stop the use of WIFI and to deploy wired networks in Israeli schools. The court did not issue an immediate order to stop the use and deployment of WIFI. During the hearing the court quoted sentences from documents filed by Attorney Dafna Tachover. Attorney Michael Bach argue patiently to the court about the fact that the Ministry of Education recommend wired networks but is deploying WIFI in schools, against the opinions of professionals and his own recommendation, while more and more kids are suffering from the daily exposure. " The ministry is saying one thing and doing the opposite, We have kids in the court room that suffer from this radiation" said Attorney Michael Bach. While Attorney Michael Bach Argues his case the court said, several time "there is no need, we have come to a decision". It seems that the court made up his mind before the hearing and just wanted to verify that the state has now new info and just old excuses. I think it means we are getting closer to a verdict. It means that the court was convinced with our claims that kids are suffering and many more will if the WIFI will be used in schools. It means that the court understood that the entire time the ministry of education was saying "we recommend wired network" but it was in fact, deploying WIFI in every possible school (~3300 schools out of more then 4000 in Israel have WIFI now. Most of them were installed in the last 2-3 years). In the last 3 years, the Ministry Of Education has been deploying wireless routers and laptops to schools in ISRAEL. What started as an experiment in 20 schools, with wireless internet and laptops, became a wide deployment of wireless routers and in more than 3300 schools so far. In 08/2012, after failing to convince the Ministry Of Education to stop the deployment of WIFI in schools, and ban the use of WIFI in schools, after all our communication with the ministry came to a dead-end. Few days before the start of the 2012-2013 new school year, Attorney Michael Bach, representing the "Furom for Sane Cellphone Use", the "National Parents Association" , and EHS activist Attorney Dafna Tachover (now representing herself), filed a request to the supreme court with to order the Ministry of Education to stop the deployment and ban use of all WIFI in schools. Since then there were several hearings and in the meantime the Ministry of Education deployed WIFI in more than 3300 schools (according to its own testimony). 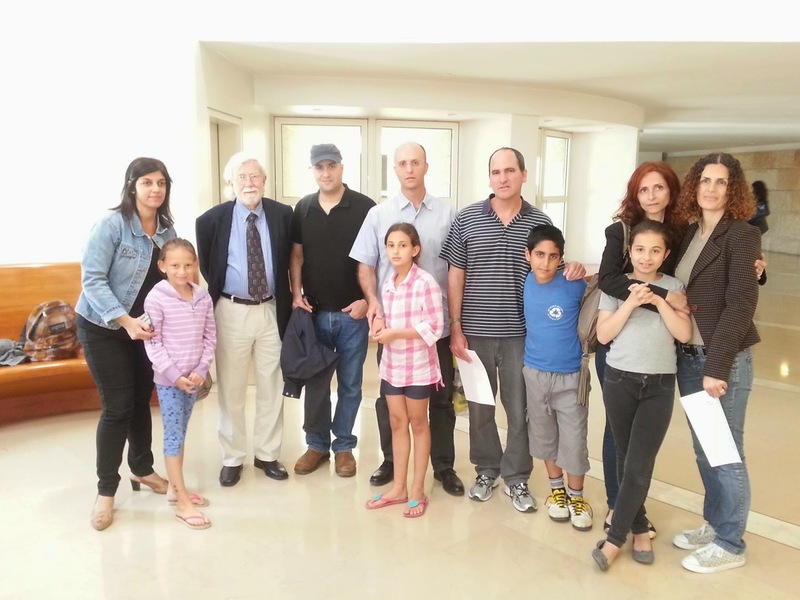 Up to now (04/2014) we(Israeli activists) have been contacted by parents representing more than 100 kids with EHS symptoms when in schools. Some of the parents filed affidavits via Attorney Dafna Tachover about their kids' suffering. 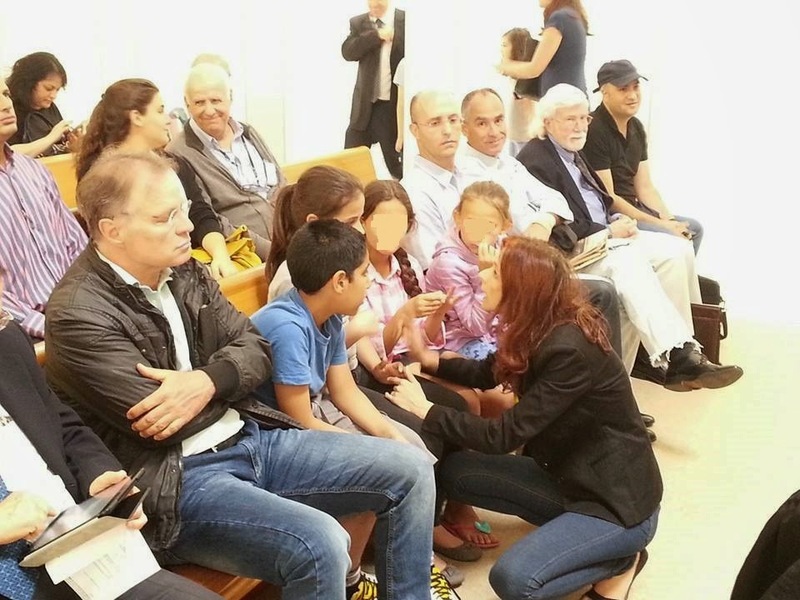 Pictures form the court were taken by Ami Yakov and other activists and parents. Adults and kids should test for mineral depletion. I have read on-line that wiFi and EMF radiation causes mineral depletion as it affects our ability to absorb minerals. Where is the verdict on the case ?!! !